On a recent trip to Southern California we visited Catalina Island. While up at the infamous "Airport in the Sky", we had the pleasure of seeing a Caravan (Super Cargomaster) off loading and loading cargo. 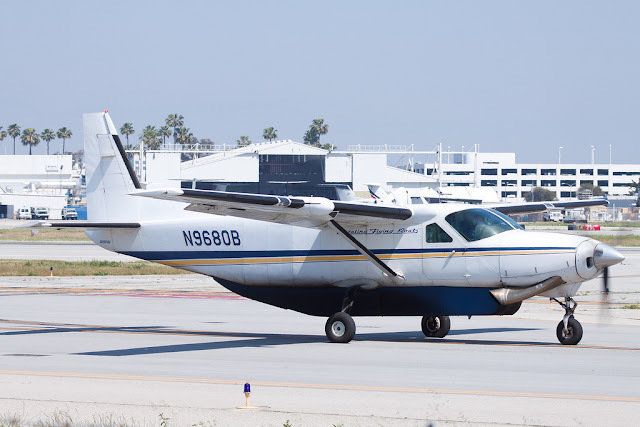 It belongs to a company called Catalina Flying Boats. 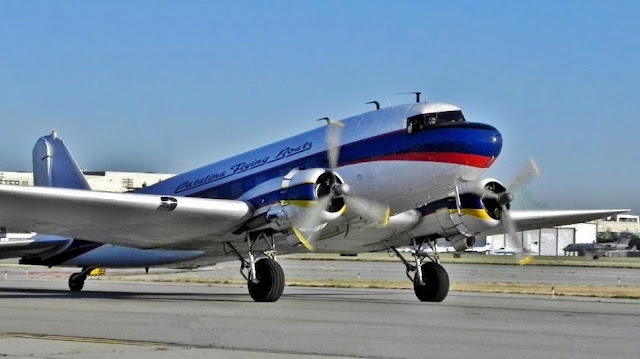 The company flies cargo back and forth between Catalina Island and the Southern California mainland, mostly to Long Beach Airport (LGB) in their Super Cargomaster and DC3 (C47). I personally remember being a young student pilot at Long Beach Airport, admiring and desperately wanting to fly the DC3 and Caravan owned by Catalina Flying Boats. These aircraft still inspire me after more than 25 years. Well, as you obviously know, I have definitely logged some time in Caravans. The DC3 on the other hand, they are a lot harder to find and it's even harder to find an owner or pilot that will let anyone "take her around the patch" a couple times. Oh well, we can dream! If you have any experiences or photos of these beautiful birds feel free to share!